Home / Latest News / Announcing the 2019 Microsphere Summit in Philadelphia! Be a part of the USA’s growing pharma this year at the 2019 Microsphere Summit. 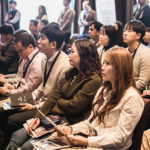 The Microsphere Summit is on the move, after being hosted in Seoul, South Korea for the past two years the two day event will be held in Philadelphia. The 2018 summit, the first of its kind in Asia was a great success for both delegates and Sponsors. With 28 companies, 73 attendees from 11 countries and 4 continents. Request the fill 2018 post event report here. Renowned Process Expert and Technical Director of C.O.P.E. 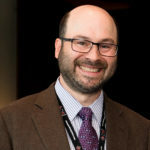 (Center of Process Excellence), Craig Patrizio will give exclusive industry insight into the microsphere process on day 2 of the Summit at C.O.P.E. Posted on Monday, January 21st, 2019 at 9:41 am in Latest News.